Rob had left to pick Samantha up from dance, Hunter and Hannah were playing in the back yard, and I was in the kitchen putting the finishing touches on dinner so we could eat a decent meal before we had to run out the door again for wrestling practice. It had been a busier than normal day and we were not done yet. For just that moment though time seemed to slow down and everything seemed perfect, calm even. 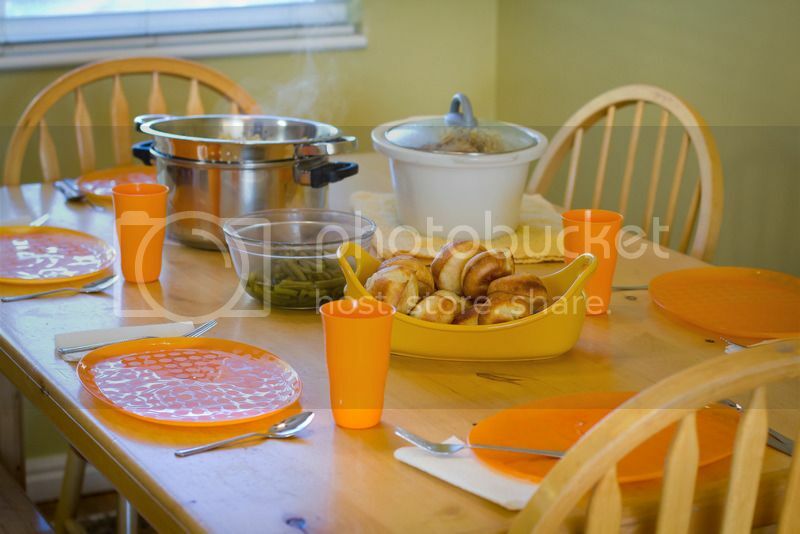 I smiled as I set the table and put all the food on so when Rob and Samantha were back home we could eat. I thought about how grateful I was for a moment of peace among a storm of activities and obligations that day. I wish I could have enjoyed that moment a bit longer but before I knew it dinner was over and we were rushing out the door again for practice. I keep hoping things will slow down, and that we will not have as may obligations, but as the kids get older there seems to be more and more activities and obligations to meet. I am starting to accept this is what happens when your children grow, and instead of fighting against it, learn to really cherish the small moments of peace, calm, and normal I have throughout the day.